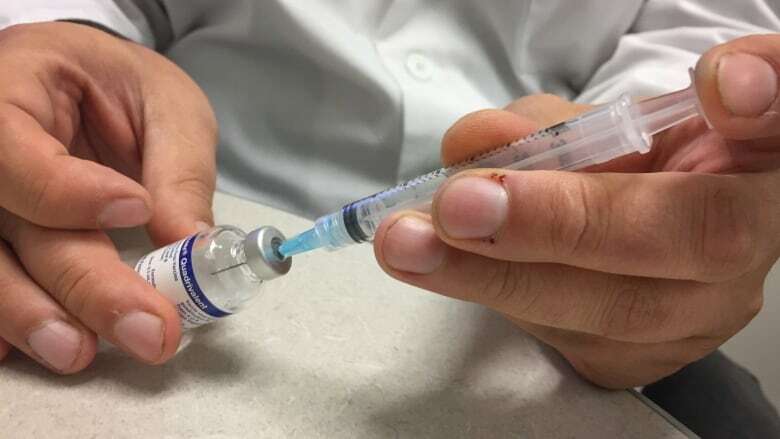 This season's influenza vaccine appears to have reduced the risk of infection with the dominate circulating flu strain by 72 per cent, interim Canadian results suggest. circulating flu strain by more than 70 per cent — far better than what was seen with last year's shot, Canadian researchers say. The finding is "good news," said lead researcher Dr. Danuta Skowronski of the BC Centre for Disease Control, considering that the efficacy of last year's shot was less than 20 per cent, due primarily to a mismatch between the vaccine and the H3N2 strain that prevailed during the 2017-18 season. "So that's a really important reduction in risk, especially for people with underlying medical conditions, who are facing a greater threat of serious complications if infected by influenza," she said from Vancouver. "They could have reduced that risk by 70 per cent." With H1N1 dominating, young children have been especially hard hit by the flu this year — likely because they've had little or no previous exposure to that viral strain and therefore have not built up any natural immunity. The last three H1N1 epidemics occurred in 2015-16, 2013-14 and 2009, when some of today's children would not have been born. "So that's why I think we're seeing this year more younger people represented in the tallies of hospitalizations with H1N1," she said. "It's not that the virus is more virulent. We're having higher attack rates in younger children. "When you have more infected, more attack rates, and the same proportion experiencing serious outcomes, the absolute tally of serious outcomes will be higher." "We're past the peak here and we're on the downslope," she said of B.C. "But even on the downslope of the epidemic curve, there will be activity for several more weeks." "That's why it was important for us to get this [vaccine effectiveness] estimate out because it's offering substantial protection, which may still be important in areas where there is elevated activity. "And don't forget also influenza B has not made much of a showing yet this year, and it typically appears later in the season."